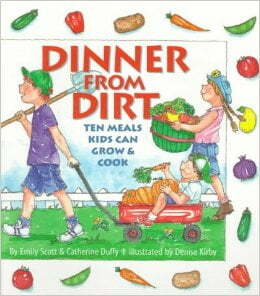 Dinner from Dirt provides the basic steps to teach children how to garden and what to plant. Then it keeps on developing the idea of what we garden into what we eat, by providing recipes. Dinner from Dirt shows children that if there is something they really like to eat, pizza or stir fry, they can create a special garden to grow ingredients for their favorite food.